PresSura Monitors and Controls are the system of choice for hospital room pressure monitoring. For over 30 years, hospitals, laboratories, and cleanroom facilities have chosen TSI products for monitoring of their critical environments. TSI products are online in isolation rooms, protective environments, operating rooms, and other controlled areas. PresSura Room Pressure Monitors and Controls are also extremely effective for laboratory monitoring and cleanroom monitoring. 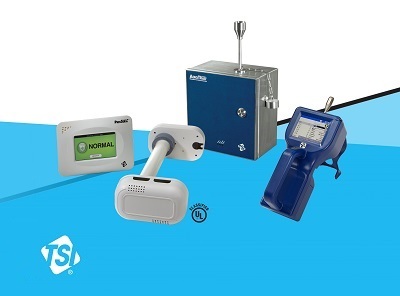 By accurately measuring room pressure differential, ventilation rates (air changes per hour), temperature, and humidity, TSI products control the spread of contaminants in applications that matter. Controls pressure, temp, humidity and ventilation in hospital rooms (maximum 1 room). Monitors pressure in hospital rooms (maximum 1 room). Monitors pressure, ventilation, temp and humidity in hospital rooms (maximum 3 rooms). Monitors key environmental parameters for compounding pharmacies and other cleanrooms. Get what thousands already trust—precision measurements with high stability in isolation rooms, operating rooms and rooms for pandemic preparedness. Are You USP <800> Ready? Discover what you need to be USP <800> ready. TSI makes it easy.